Choosing the best possible domain name for your website is absolutely critical. Your domain name is something that deserves hours, if not days, of thought, and it’s no exaggeration to say that, in some circumstances, making the wrong choice can break a business. In short: Choosing a domain name is something every website owner needs to ensure they get right — ideally before they do anything else, and ESPECIALLY if the website will be serving a commercial purpose. We’re no strangers to domain names here at Gabzy Media. In fact, we’ve been talking domains quite a bit these past few months, which just goes to show how pressing an issue they are for would-be website owners. So far, we’ve talked about what a domain name is and what the difference is between a domain name and web hosting, and a website. And we’ve also listed the nine best website domain name registrars in 2018 — ie where to go to actually register and buy a domain name. However, we haven’t yet gone into any depth on things to consider when choosing your ideal domain name — in other words, how to actually go about choosing! Let’s change that today. Here are 20-plus essential tips for choosing and registering a domain name (in no particular order). Let me say this again: Wherever possible, always go for a .com domain. Exhibit A: This site. Technically speaking, the .com is just one of many domain name extensions (TLDs) that are available (more on TLDs and other components of a domain name here). Some of the other popular options include, .net, .org, .co, .edu, .biz, or even things such as .shop, or .blog. The .com TLD is used by ~47% of all websites, data says. Can they all be wrong? Sorry. I know I’m making things confusing, but please bear with me. Chiefly, if your website is meant to cater to a local audience, consider going for a local TLD. For example, building a blog for the German market? How about getting a .de address? Doing this will give your users that little bit of additional awareness and boost your trustworthiness by making it clear you’re in their country (via the local TLD). But even with that, you shouldn’t limit yourself to just that local domain name. You may still want to expand your brand in the future, and, if that happens, you don’t want to find out that someone has already taken your .com. So, at the end of the day, even if you want to cater to a local market, you can still benefit in the long run by getting the .com version as well. And, in the meantime, you can link the .com to your local domain, so, no matter which address someone visits, they still end up at the same website. As mentioned in No. 1, these days you can get yourself a multitude of different TLDs that weren’t available just a couple of years ago. For example, you can get domain extensions such as: .shop, .club, .store, .blog, .design, .xyz, and so on. Also, you can experiment with some of the TLDs that were originally intended to be local TLDs, but, because of their unique appearance, can be used for various other purposes as well. These are domain extensions such as .is, .io, .fm, .it, .ly, .cc and others. Just to give you an example of the latter, if it makes sense for your brand and intended name, you can try making it seem as though the whole domain, including the TLD, is one complete expression. You can achieve that by choosing your TLD creatively. For example, Microsoft Translator is available under translate.it — that’s the whole domain name and quite a creative use of the Italian TLD, .it. However, the thing with these TLDs is that not every domain registrar offers them. Currently, GoDaddy gives you access to the largest catalogue. Nevertheless, if you’re after some specific TLD, it’s still smart to shop around with other registrars, too. Here’s our other resource, where we talk about the top registrars in the market, plus some of the TLDs they offer. Having your main domain name extension secured — be it a .com or a local TLD — is only step one. Step two is getting all of the other popular TLDs, and then setting them to redirect to your main TLD. While this will contribute to your overall domain name bill at the end of the year, you’re also preventing possible trouble further down the line. Mainly, you wouldn’t want to end up competing with another site with the same domain name but ending in a different TLD. People creating imposter sites — sites that look like yours but aren’t (meant to trick people). People registering some of those missing TLDs and then trying to sell them back to you at a much higher rate. Genuine visitors mixing up your TLD and not being able to access your website. To make the brainstorming process easier, you can experiment with some combinations of actual words and random suffixes, like I did with the Lotterio.com example above. The main goal here is to create a potential for the domain name to build brand value over time. This, however, can grow your annual domain bill even further, so it’s your call. In general, you’re going to be pretty safe if you just focus on a couple of the most likely misspellings of the domain. Looking at my earlier example, Lotterio.com could be misspelled as Loterio.com – single ‘T‘. Once you have those, redirect them back to your main domain name. Okay, so no matter what I say about picking a domain name that’s brandable, simple, has a good ring to it, is easy to memorize, and so on and so forth, the fact of the matter is that coming up with a truly good name is hard. Sometimes, you’ll easily go through tens of different terms before you settle on that perfect one, while other times nothing will seem good enough. In that case, Thesaurus.com can be the secret weapon in your arsenal. The site will help you find synonyms and also provide quick definitions to help you not to make a silly mistake by building your domain name around a word with a meaning you’ve misunderstood. Note: As I mentioned above, it’s not advisable to just go with a standard, dictionary word as your domain name, even if it comes from a thesaurus. Always add some modifiers to it, or turn it into something original by changing a few letters here and there. This is another kind of helper that you can use if you’re finding it hard to come up with a cool domain name, and thus, by extension, your business name as well. These tools are very simple to use, but also surprisingly helpful. All they need is one keyword from you — a seed keyword (or a seed key-phrase) — and, in return, they give you tens or even hundreds of suggestions, full of valid and available domain names that you can register right away. 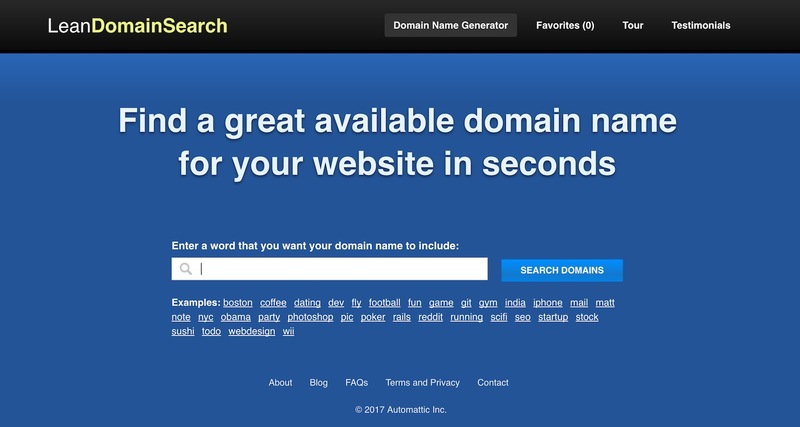 Business name generator by Shopify works similarly to the above, and also helps you build a Shopify store with the domain name of your choice. Nameboy is a bit more old-school — especially in its design — but it’s still useful. This one needs more specific input, and does a better job once you have a general direction you want to follow with your name. Infringing on a trademark can mean a really bad day. And, while I realize hardly anyone registers a domain name with the intent to infringe on anything, those things do happen every once in a while. Therefore, as a rule of thumb, whenever you have a nice domain name idea and you’re just about to register it, simply google the name and look through all of the first and second-page results. What you’re looking for are businesses that already use this name and (seemingly) operate in a similar market or niche. If you find anything, you likely need to pick another domain name. If the domain name you really desire is already taken, this is not the end of the world. Sometimes, you can actually still get your hands on it. If the domain name is not in use (there’s no website or the domain is ‘parked’ — features only ads), then there’s a very good chance the owner only bought it to sell it later on. You’ll likely find some contact information on that parked website. If there’s no info, use who.is and get the owner’s email. If there’s a website on the domain, you can still try your luck and contact the owner asking if they’re willing to sell the domain off. Low chance of success here, but still worth a try. If the domain is completely empty and there’s no contact info to be found, try looking through known domain-flipping marketplaces, such as GoDaddy’s marketplace (auction based), Sedo, SnapNames, or Flippa. Buying an existing domain name is a different process from buying a new one, so it requires some additional caution. We talk about that in No. 13. One more note, domains you buy from someone’s hands cost MONEY (emphasis mine). Sometimes good money! A safe estimate here would be a minimum of $250, but more like $1,000 or more. Okay, so as much as domain names do matter, and having the right one can mean the world to you, if you can’t get your hands on what you want (it’s unavailable or the price is too high), don’t sweat it too much. First of all, something that’s more important than anything else — even than the domain name itself — is to actually get the idea behind your website or business right. If you dedicate yourself to executing that idea and do it deliberately, the lack of that ‘perfect domain name’ won’t hold you back. Secondly, domain names can be changed later on. Even if you don’t have the right domain today, you can always get it later, and then just redirect your website to it. For example, that is what Sumo — a suite of online marketing tools — did not that long ago. The domain name they started with was sumome.com, but then, after a while, when they got enough funding, they bought the domain they really wanted — sumo.com. In their case, that domain switch was kind of expensive. Their new sumo.com domain actually cost $1.5 million. But don’t worry, yours doesn’t have to be this expensive. Sumo has actually turned out to be the 83rd most expensive domain name ever. As I mentioned a couple of points above, buying an existing domain name is a bit different from buying a new one. First of all, since it’s not new, this means it already has a history. And you can never be entirely sure what that history is. On the bright side, the domain’s history may give you a boost in Google since you’re not starting from scratch — Google already knows the domain. But, on the flip side, if the domain has featured any kind of ‘non-kosher’ stuff (p**n, gambling, spam content, email spam distribution), then it may be banned from Google entirely. Buying your domain from a marketplace such as Flippa gives you some safety, since every domain is validated at least in the most basic way. However, to make things a bit safer, you should also perform checks of your own. 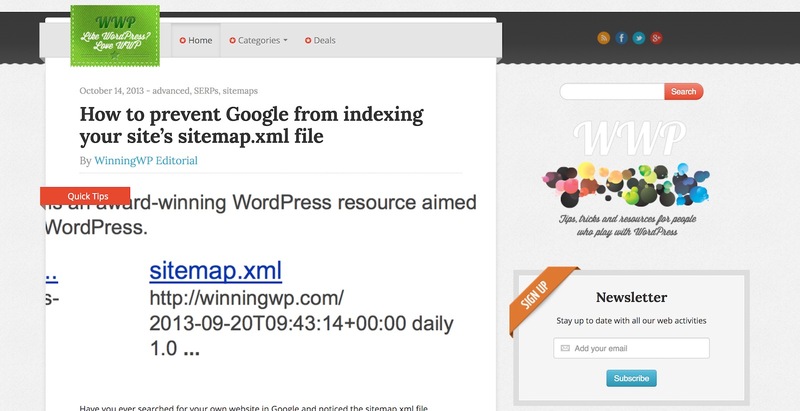 This will tell you whether Google has any pages indexed from that domain. Finding anything is a good sign. It means the domain isn’t banned. Not finding anything doesn’t have to be a deal-breaker, though. If the domain is blank — no website — then there’s nothing for Google to find in the first place. However, if there is a website but Google can’t see it (via the site:YOURDOMAIN.com phrase), this is a red flag. You can also do checks via tools such as bannedcheck.com and ismywebsitepenalized.com. But also keep in mind that these things are not foolproof. Consider them helpers. It’s safe to assume that this site didn’t exist before then (which is true). When you click on any of the records, you get a snapshot of the site back then. Quite handy, isn’t it? If you’re buying an existing domain name, it would be a good idea to go to Wayback Machine and browse through every month of the domain’s history, just to make sure there wasn’t anything shady going on at any point. Second, who.is gives you access to a ‘whois history report’. This is a paid service — $10 — but the price tag is rather small in relation to what you get in return, which is all the whois data associated with a given domain name from the very beginning. This means that you can see what the domain’s history is, when it was registered, and how many times it potentially changed hands. Social media is key these days — whether we like it or not. The average web-connected human spends one hour on Facebook every day, and, in total, Facebook gets 2 billion visits a month. That’s BILLION. What I’m trying to say is: People are much more likely to check what’s going on with your brand on Facebook than by actually visiting your website. This is just one of the reasons why you absolutely have to have your professional profiles set up on the most popular social media sites. Whenever possible, get the same handles as your domain name. If these are taken, be creative and use some suffixes or prefixes. Some options: now, daily, hq, get, app. For example, my fictional Lotterio.com brand could go by LotterioHQ on Twitter. Ipage — our top recommended hosting company that also sells domain names. Even though all domain registrars offer the same product — they register a domain name on your behalf — the pricing can sometimes be very different. For that reason, it’s always a good idea to shop around with different registrars and compare the prices of the domain name you want to get. $32.50 at ENOM, and so on. Now, I’m not saying that Namecheap is always the cheapest, because it’s not. The price always depends on the specific TLD you want to get, so always go to multiple registrars and see what’s up. Also, just a general note: Always keep your login credentials to the registrar’s user panel very secure. If anyone gets access to that panel, they’ll be able to transfer your domain to their account (read: Steal it). Even though it may seem odd at first, domain hijacking actually happens more often than you’d imagine. Not going into the boring technical details, your domain can be stolen via several means. Most commonly, this involves either hacking your password or convincing you to give out your password via a phishing attack, plus some other fun things. Basically, if someone gains access to your registrar’s user account, they can do whatever they wish with your domains. Some domain registrars offer a feature in which they keep your domain in Registrar-lock status, which prevents unauthorized attempts at domain transfers. In this state, your registration information and DNS configuration cannot be changed until you unlock your domain name. It’s a good idea to not let anyone else (such as an agency) register a domain name for you. Even though it’s slightly less hassle that way (since someone else does all the work), it can lead to trouble later on. If someone else registers the domain, you’re giving them a hold over you and your website. If you ever want to move away from their services, you can encounter trouble in terms of them not being too eager to transfer the domain over to you and give you full control of it. Just to name a few bad things that can happen: They may take an awfully long time to complete the transfer, they may try to extort some fees from you to do that, or they may decline completely (based on some fine print in your initial agreement). Plus, perhaps most importantly, if the agency/person goes bankrupt or loses access to the domain registrar for whatever reason, you could lose your domain name entirely. Long story short, always register your domains on your own. It’s not that difficult anyway. In simple terms, domain ID protection masks your personal contact information from anyone performing a whois lookup on your domain name. By default, and under ICANN rules (the organization that regulates domain names), all domain names must have publicly viewable contact information assigned to them — the same information you had to provide during registration. This includes your name, address, phone number, and email address. Let me say this again, by default, all of this is visible to anyone who puts your domain name through a tool such as the aforementioned who.is. This is not perfect. First, anyone can see this info, which means your personal details are exposed. You’re basically sacrificing part of your privacy for nothing in exchange. Once under domain ID protection, the whois details of your domain get replaced with your registrar’s information. Generally, when you register your new domain name, you get to choose the registration period — the time span during which the registrar keeps the domain active on your behalf. Most commonly, everyone registers their domain names for either 12 or 24 months. After that initial period, your domain name needs to be renewed (for another X months). Otherwise, it becomes inactive. And then, after a short while, if you miss your window, the domain goes back to the pool of available domains, which means anyone will be able to register it. What usually happens — in case someone doesn’t make it in time with renewing their domain — is that the domain gets snatched by a domain broker or someone similar. Basically, aged domains are valuable in the domain market, plus there’s higher chance that the person who originally failed to renew the domain will want to buy it back at some point. Go Ahead and Get Your Domain Name! Whew, okay, that was a lot of reading! Still, I don’t want this list to be intimidating. Even reading through it just once and then noting down the most important takeaways will give you more than enough insight to be able to obtain your perfect domain name and do so safely. THANKS GUYS YOU MAKE US PROUD OF GABZY TECH. I LIKE NICE DOMAIN NAME. I think I will contact you guys very soon for my own. Wow! One can register domain name and sell it later. This is great tips especially for those who looks forward to owning a websites. All these depends on the type of website you want to create. I still don’t know what stopped me from completing my own site till today. When the funds are available for my new website, then I”ll consider the tips written up there. SeeMeBloggin.co.uk, etc. All these are very good instead of.com.